Home→Unique Claims to Fame→Community Celebration, Fla. Imagine a place so pristine and idyllic its signal character of perfection is also its most prominent target for criticism. Welcome to the “too good to be true” master-planned community of Celebration, Fla., population 7,427. “Town” is not exactly the word Celebration uses to define itself. The community’s website touts the nostalgic character of the place reminiscent of the halcyon days of 1950s small-town America. 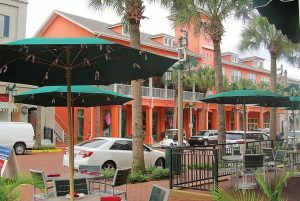 “If you’ve visited Celebration, it’s likely that our residents have already helped you feel part of the community,” notes the website, www.celebration.fl.us. “Perhaps it was a simple smile someone shared as they passed by on the street. Maybe it was a friendly chat you had with a stranger while shopping. “There’s a reason Celebration is not a town, but a community in every positive sense of the word. While the population is diverse, the residents share a strong community spirit and a desire for a friendship with their neighbors. The community, situated a few miles south of Disney World in Orlando, is the brainchild of Walt Disney, who sought to create a sustainable community in the style of his Experimental Prototype Community of Tomorrow, commonly known as EPCOT. He originally envisioned a community of 20,000 residents, but subsequently halved that goal. All the quaintly styled homes were to be within walking distance of a charming, pastel-colored community square in the center of town. Disney passed away in 1966, but in the early 1990s, the company he left behind established the Celebration Company and continued the dream, investing $2.5 billion in the project. 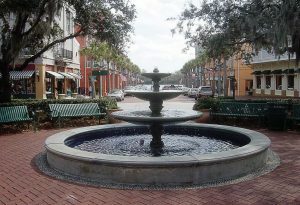 The first phase of residential development opened for occupancy in the summer of 1996 and Celebration earned recognition in 2001 as “New Community of the Year” by the Urban Land Institute. Consistent with the original intention, Disney Development Company divested its ownership of Celebration in 2004 and turned over a majority of seats on the homeowners’ association board to the local residents. Organized under Florida law as a community development district, voting on administrative matters is restricted to local landowners. The residents indeed take a day-by-day pride in Celebration. 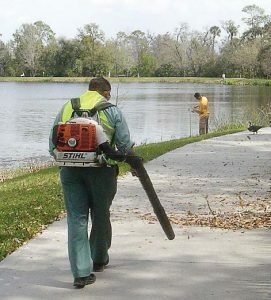 The streets and sidewalks are kept squeaky clean and monitors patrol the public areas, promptly and strictly fining such malefactions as littering or letting one’s lawn grow too high. Building codes and other regulations are rigid, even dictating the type of vegetation a resident can grow in his or her yard. Pink flamingoes, ubiquitous in other communities around the state, are strictly verboten. Such meticulous oversight serves to protect the residents’ investments. The average home in Celebration sells for $300,000 and thousands of visitors a week browse the community’s selection of boutiques, restaurants and other attractions. 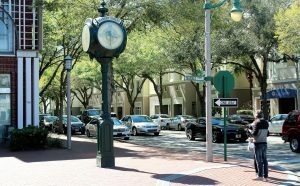 Not so, say the residents, who participate in Celebration’s annual events, such as a communitywide yard sale, art show, exotic car festival, Radio Disney holiday concert, Oktoberfest and the Great American Pie Festival, which is televised on The Food Network. One writer, jamegumm, responding to a critical article on www.gizmodo.com, summed up the reasons for Celebration’s quaint charm. For more information, visit www.celebration.fl.us.